The Formula 1 World Championship returns to Asia next weekend when the cars take to the Marina Bay street circuit in Singapore. It’s the only night race on the 2013 calendar; such is the unique mental and physical challenge of the Singapore Grand Prix that Vodafone McLaren Mercedes driver Jenson Button calls it “a modern-day classic”. The race starts at 8.00pm (local time), two hours after darkness has fallen over the city-state, and it’s usually the longest grand prix of the year in terms of time – a consequence of the circuit’s slow average speed (149 km/h) and the regular deployment of the Safety Car (statistically speaking, it’s been deployed for a minimum of four laps every year!). 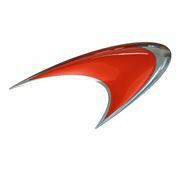 The fastest Singapore Grand Prix to date was in 2009, when Lewis Hamilton won for Vodafone McLaren Mercedes in 1hr 56m. The challenging nature of the 23-corner Marina Bay layout, combined with the 30-degree heat and 70 per cent humidity of the Tropics, makes the 61-lap race one of the toughest for the drivers. They lose up to three litres of fluid during the race and some even get headaches due to the concentration required under the artificial lights. The 5.073 km Marina Bay circuit is the second slowest of the season, after Monaco, and the cars run with maximum aerodynamic downforce. There is a great emphasis on traction out of the slow corners, which is why Pirelli takes the Supersoft and Medium tyre compounds to the race – as they did in Australia and Canada earlier in the year. Vodafone McLaren Mercedes has won the Singapore Grand Prix once, in 2009, and Jenson is one of only three drivers on the grid to have completed every lap of every race in Singapore. Both he and team-mate Sergio Perez are aiming to score points in this year’s race. Jenson Button: “Just as it’s exciting to return to Europe after the opening races of the year, it’s always cool to pack your bags for a long-haul flight, knowing that you’re heading off for the flyaways that bring the curtain down on a long season. “I remember the first time we raced at Singapore [in 2008]; it seemed incredible to think that we could hold a Formula 1 race at night. I must say, the thrill and novelty of racing through spotlit streets is just as intense for me today as it was when we first raced there – it’s a unique spectacle, and one that I think is brilliant for F1. In fact, the Singapore Grand Prix is one of the wonders of modern sport. “I enjoy racing around the Marina Bay circuit. Although I’ve finished second there for the past two years, this year it’ll be interesting to see how our car behaves on a bumpy, high-downforce circuit. “This is also a race where good fitness preparation really pays off: the race is usually close to the two-hour limit, so it’s the longest physical challenge on the calendar. Sergio Perez: “I’ve finished in the points in my two previous visits to Singapore, so, after the disappointment of just failing to get home in the top 10 at Monza, a points finish next weekend will clearly be my aim. “Obviously, the fight at the sharp end of the championship means that the top three or four teams are still pushing hard to develop their current cars, whereas some of the others are looking more towards 2014. [This] means that it’s getting slightly harder to score good points in the remaining races. However, we’ve still got developments coming through – most with an eye to next year – and I hope that we can maximise our package for one of the toughest races of the year. “Singapore is an unpredictable race – it’s tough on drivers and machinery, so we’ll be looking to get the best from our high-downforce set-up and see if we have a car that can ride the circuit’s many bumps. Martin Whitmarsh, Team principal, Vodafone McLaren Mercedes: “It was around 10 years ago that the idea of a Formula 1 night race was first floated. At the time, I remember thinking it was an incredibly imaginative and ambitious idea, but, given the scope and scale of such an endeavour, I also thought it an unlikely possibility. “However, the organisers of the Singapore Grand Prix have shown huge determination and ambition to bring the idea to fruition, and, as we approach the sixth edition of the race, I think everybody in F1 now regards the event as one of the cornerstones of the grand prix calendar. Indeed, it’s one of the miracles of televised sport. “As well as the spectacle, this is also a very hard motor race: in hot and humid conditions, and on a circuit where there’s little opportunity to relax, the drivers will race for nearly two hours on Sunday night.